Laser Shooting Gallery is a very interesting option for expanding your entertainment center. The facility looks very impressive and does not require too much space for installation. 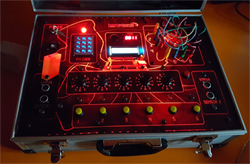 In response to market demands we have created low-cost version of Laser Tag equipment. The Mobile version does not include vests. This allows a significant reduction in costs while maintaining the full functionality of the standard indoor systems. The Mobile version can be used as a portable or stationary solution. 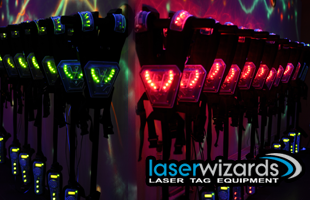 Laserwizards Company provides Laser Tag software and equipment. Our products are the result of 20 years of experience. A combination of stylish and reliable facilities with modern software is a guarantee of a successful business . Fast and professional support gives our customers a sense of comfort and safety. 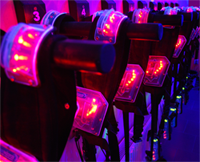 Laserwizards is not just a Laser Tag, we offer also other equipment for your entertainment center. Nowadays, Internet is not just a medium used for advertising purposes, the number of different types of services that companies provide online is increasing day by day. Those who once put on the Internet, today can count the profits. 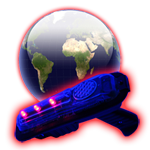 Laser Tag was invented many years ago but it still can fascinate people due to its continuous development and improvement. 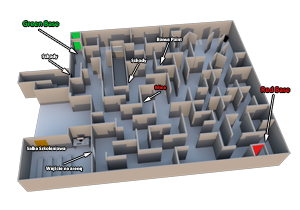 Laserwizards Company created software that moves Laser Tag on the online platform. We invite you to familiarize yourself with what DTT System can offer to you, your staff and your customers.